FINALLY, A HOME THAT IS WORTHY OF THE WINES YOU LOVE. Your collection is growing. Your passion is boundless. The time has come for you to consider building a wine cellar. An exclusive place for your wine to grow to maturity, safe from harmful elements, in a carefully crafted, climate-controlled environment. At Master Cellars, we will help make your dream a reality. However many bottles. Whatever amount of space. We'll help you uncover the ideal place. Convert a closet. Renovate a room. 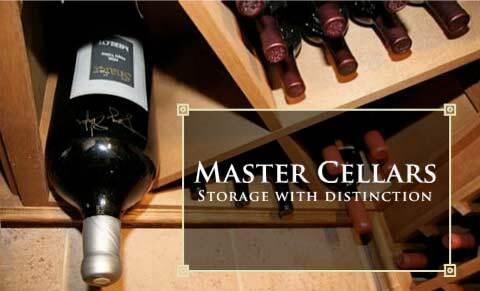 At Master Cellars, we will custom design, build and install a wine cellar that properly stores your collection, protects your investment and reflects your personal style. Let us show you what sets us apart. Custom design. Turnkey solutions. And uncompromising workmanship by a craftsman who shares your love of wine.